Weighing in at only 8 pounds, the Riccar SupraLite provides the ultimate combination of cleaning power and ease. The RSL3 model features a HEPA bag for advanced filtration and the convenience of an on/off switch right at your finger tips. But don't be fooled by it's lightweight, the SupraLite's power will rejuvenate your carpets by removing deeply embedded dirt. 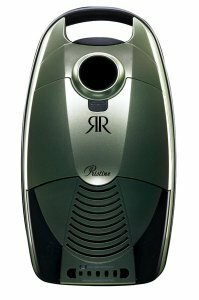 In fact, the Riccar SupraLite out cleans the leading 8 pound vacuum by almost 40%! Weighing in at only 8 pounds, the Riccar SupraLite Commercial line provides the ultimate combination of cleaning power and ease. These uprights feature the convenience of an on/off switch right at your finger tips and optional advanced filtration with a HEPA Bag. But don't be fooled by its light weight, the SupraLite's power will rejuvenate your carpets by removing deeply embedded dirt. These premium vacuum cleaners feature outstanding cleaning performance and the exceptional durability of metal bottom plates, brushrolls and handle tubes. Factor in the 6-stage advanced filtration, 5 year warranty and American-made construction and you'll quickly notice a Premier Series vacuum is an excellent choice.This fully loaded vacuum of the premier series has it all. It includes the above standard features found on all the premier vacuums with a little extra. The 2-stage motor and and Advanced Plus pleated filter sets it a part from the rest. 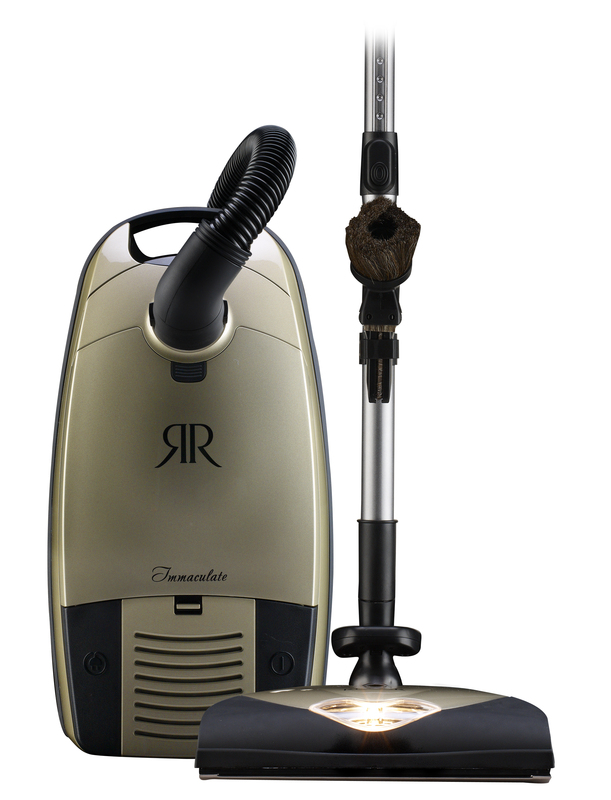 The Riccar Radiance features the revolutionary Tandem Air System, creating the first vacuum to provide exceptional cleaning performance, sealed HEPA filtration, the convenience of powerful on-board tools and unsurpassed durability in one machine. With a 2 motor system this vacuum is designed to clean all surfaces from bare floors, to carpets, to furniture. Exceptional cleaning performance, sophisticated HEPA filtration and numerous luxury touches define this impressive canister. Equipped with a full size power nozzle, Pristine is designed to clean a multitude of flooring surfaces from rich hardwoods to ultra-plush carpet. Show off the full beauty of your floors by using a canister designed and built in America to exacting standards. You'll marvel at the tremendous suction power that leaves the plushest of carpets thoroughly refreshed and any surface white glove clean. But just as impressive is the fact the Immaculate’s performance is refined to a subtle, hushed whisper. The Immaculate is so determined to clean, it can even see the dirt that you can’t, with a built-in dirt sensor that alerts you to when a floor is truly spotless.